Though some kids have been back in school for a while now, and the high temperatures are starting drop, today is the official final day of summer, and of the massive summer movie season. We've been writing about the summer's movies for months, of course, but now it's time to look back and see exactly how this season went for Hollywood. Aside from the obvious hits like The Avengers and The Dark Knight Rises, and the obvious misses like Battleship, what were the real winners and losers that can tell us something about how the industry might move forward? We picked 5 winners and losers apiece, to try and look at not just what made the most money this summer, but which trends emerged and which totally died out. Check out our picks below and help us say goodbye to the summer of 2012! We’ve come up with five winners total from the summer of 2012, but let’s be honest here: Marvel Studios is the ultimate champion. Really, what more can possibly be said? 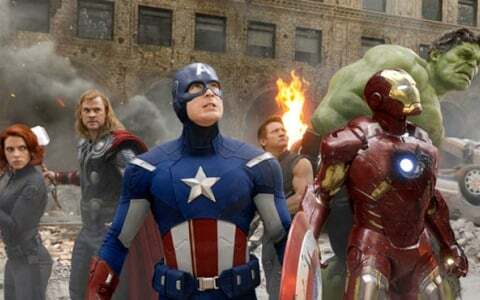 The Avengers was not only one of the biggest critical smash hits of the year – it wound up with a 92% on Rotten Tomatoes with nearly 300 reviews counted – but it's a box office phenomenon, breaking opening weekend records with a $207 million pull and ranking third on the all-time worldwide grosses list, making nearly $1.5 billion. And as though that weren’t good enough, the studio’s future is blindingly bright. Not only did they manage to secure Joss Whedon to both write and direct The Avengers 2, but they also signed him to a three year contract that establishes him as the godfather of Marvel Cinematic Universe: Phase 2. Oh, and let’s not forget the jaw-dropping presentation at Comic Con that gave us titles for Captain America: The Winter Solider and Thor: The Dark World, as well as showing off test footage from Edgar Wright’s Ant-Man and the first footage from Shane Black’s Iron Man 3. This summer Marvel Studios became a juggernaut and we couldn’t be happier. This was the year that nine out of 10 of the movies nominated for Best Picture at the Academy Awards took place at some point in the past, but titles trying to capitalize on nostalgia this summer were big, fat losers. 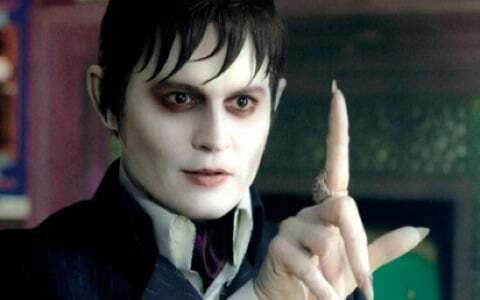 It began in the second week of May with Tim Burton’s Dark Shadows, which was not only utterly pummeled by The Avengers at the box office, but was slapped by critics for its lazy script and inconsistent tone. And things only got worse from there. The 80s tinged musical Rock of Ages was a global flop; the Total Recall remake was panned for its inconsistent vision; and Battleship did nothing to conjure board game memories. The only film in this category that could be considered a moderate success would be Men in Black III and calling that movie sloppy would be a compliment. There is a positive spin, however. Perhaps now studios will start using forward thinking and stop trying to root around in our childhood to find something that will make us pine for years past. The numbers certainly suggest that this would be the best way to go. With new releases from Pixar, DreamWorks, Blue Sky Studios, Laika Entertainment, and the creator of Family Guy, animation fans were spoiled for choice this summer. Craving a rousing adventure about a princess who refuses to play nice? Try Brave! Seeking some silly hijinks featuring family-friendly funny animals? Check out Madagascar 3: Europe's Most Wanted or Ice Age: Continental Drift. Prefer your animated animals with a bit more edge? Take in Ted. Seeking something spooky yet sweet? Then you simply must see ParaNorman. Aside from offering wildly different tales, these features each displayed a distinct brand of animation, much of it awe-inspiring. 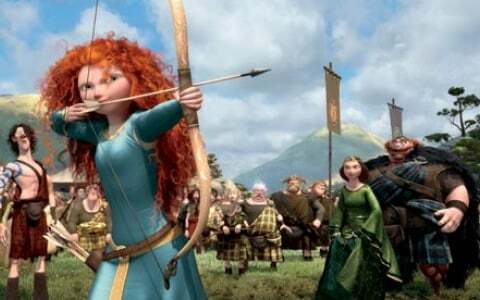 It was easy to get lost in the meticulous and glorious pixels that made up Merida's messy locks. Ted was such a fully realized character—both on the page and in the CGI—that it was easy to forget he wasn't actually on set pummeling Mark Wahlberg. And with the painstaking details that went into physically building every tiny prop and expression of ParaNorman, the folks at Laika created a movie that demands to be seen again and again. In short, these past few months have proved animation as a genre is continuing to thrive.And bonus: we were spared The Smurfs for a summer. Though this year's Best Picture winner The Artist had your usual fancy fall release date, the rest of the lineup was distinctive in one particular way-- three of the nominees had been released in the summer. It seemed like a potential end to the irritating studio trend of holding their best films to the end of the year, in hopes of building up more Oscar buzz, and many people looked to summer 2012 to see what the warm weather Oscar contenders might be. And then, with the long-shot exceptions of Beasts of the Southern Wild and mayyyyybe Moonrise Kingdom, there are none. Surely none of this summer's films have been the kind of runaway success that Midnight in Paris was, or the art house lightning rod that Tree of Life was last year, or the mainstream high-class success of The Help. The Oscar potential for all of this summer's biggest critical successes relies entirely on the rest of the year's releases being weak, and with heavy hitters like Paul Thomas Anderson and Quentin Tarantino and Steven Spielberg on the horizon, that's unlikely. We can keep rooting for Moonrise or Beasts or Matthew McConaughey's best Supporting Actor nod for Magic Mike, but there's a lot less potential than this time last year, which is a huge disappointment for Oscar nerds like us. Summer is a time for movies that are bigger than life, but this summer it was movies with big bountiful ensemble casts that scored big with both critics and audiences. 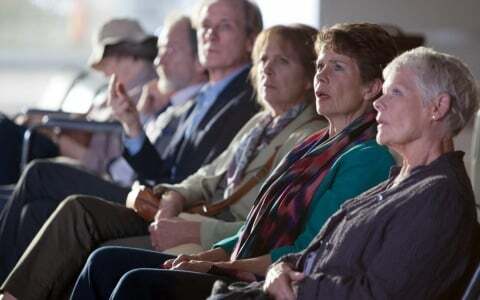 Tent poles like The Avengers and The Dark Knight Rises seemed destined to break box office records, but even smaller ensemble films like John Madden's Best Exotic Marigold Hotel, Wes Anderson's Moonrise Kingdom and Steven Soderbergh's Magic Mike got in on the act. 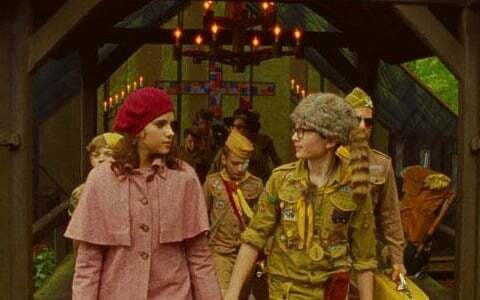 In an extremely limited release that initially included only four theaters, Moonrise Kingdom broke records for a live-action film its opening weekend, pulling in an average of $130,752 per-location. In May, the British dramedy The Best Exotic Marigold Hotel was deemed the highest grossing specialty film of 2012, and since its June debut the male-stripper drama Magic Mike has lured in audiences to the tune of $113 million domestically, a figure made all the more impressive by its lean budget of $7 mil. The common thread in these very different films—aside from resounding critical praise—is that each boasts an ensemble cast stacked with incredible talent, making each the kind of cinematic event that inspires people to go to the theater with an ensemble of their own. To be fair, Andy Samberg’s currently starring in a charming indie called Celeste & Jesse Forever, which is playing in limited release. But that doesn’t mean we can overlook the steaming pile that was That’s My Boy, which paired Samberg with Adam Sandler as father and son. 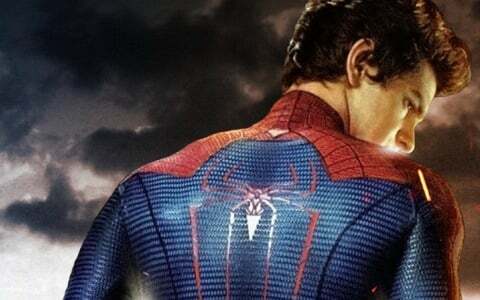 As you could have predicted, the movie bombed with critics, earning 21% on Rotten Tomatoes. Here’s the shock, though. Sandler’s usually dependable audience didn’t turn out. Where movies like Grown Ups banked $162 million, Boy stalled with $36.9M. It was a shot through Samberg’s reputation as a bankable star, but Lonely Island really took a hit when Akiva Schaffer’s The Watch failed to scare up audience members. 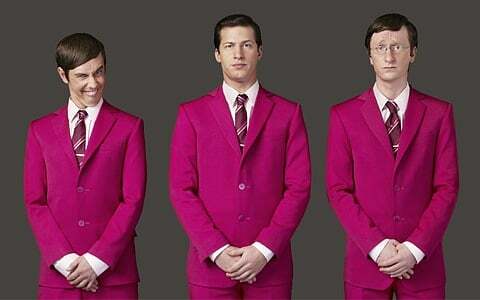 Granted, the $33M earned at the domestic box doubled what Schaffer banked in 2007 with Hot Rod (also with Samberg), The Watch did nothing to prove to Hollywood that The Lonely Island was a brand of comedy that needed to be invested in. These guys may have created some of the most memorable digital shorts in Saturday Night Live history, but they have yet to translate that creativity to feature length, and we’re not sure they’re going to get many more shots at making it all work. It has been called a “phase,” and is often dismissed as a “nuisance.” But in the summer of 2012, you could make the argument that 3D technology became a necessity as filmmakers with mature vision used the added dimension to soup up select features (and bolster studio ban accounts). The best 3D of the season, for the first time in a long time, didn’t belong to an animated movie – though Brave and Ice Age made particularly good use of the format. Instead, it was major popcorn blockbusters that produced the most eye-popping 3D visuals. 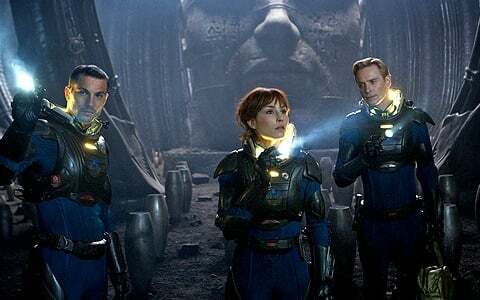 The Cape Canaveral showdown in Men In Black 3, the spaceship landings in Prometheus, Spider-Man’s swings through Manhattan’s urban canyons … heck, the entire final hour of Joss Whedon’s The Avengers all looked better in 3D that expected. Perhaps the only thing preventing 3D from declaring Summer 2012 a complete slam dunk for 3D is the fact that Christopher Nolan didn’t embrace the format for his final Batman film, The Dark Knight Rises. And while Warner Bros. executives might stay up at night fretting over the additional dollars they could have squeezed out of ticket purchasers, it’s those fans who likely thank Nolan for staying true to his two-dimensional vision. The February re-release of Star Wars Episode I: The Phantom Menace 3D, the most reviled installment in the most beloved science-fiction saga, helped set the tone for the wave of summer science fiction disappointments. Accounting for the inevitable genre hybridity, there were several releases this year that qualify but few that managed to make a mark that wasn’t blemish. 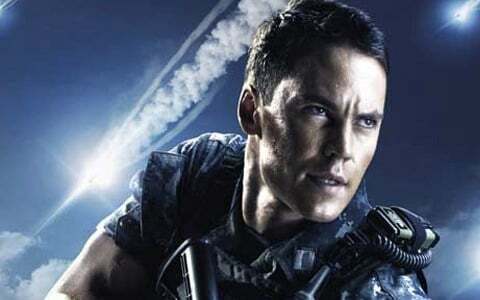 John Carter, the sci-fi fantasy flop heard round the world, continued the trend set by Episode I, and was then followed by bored - sorry - board game aliens in Battleship and a tired remake of Total Recall. The Hunger Games and MIB3 managed to win the favor of some critics and audiences but I doubt either really satisfied the thirst of a hard sci-fi fan. Then came June’s Prometheus. Heralded as the second coming, what we received was a beautifully shot, well acted mess with a few great sequences completely outweighed by mounds of stupidity. At least it was a conversation starter. And fans still have much to look forward to with Dredd, Looper and Cloud Atlas coming out later this year with a phenomenal science fiction line-up scheduled for next summer. Elysium, Oblivion, Star Trek 2, After Earth, Pacific Rim, RoboCop, Ender’s Game and Catching Fire. Not bad. C-Tates, the hunk who transformed himself into a movie star this year, already got a shout out for this work in the ensemble of Magic Mike, but he's had such a good summer he deserved his own mention. Yes, two of his hits this year came in the spring-- The Vow and 21 Jump Street were a one-two punch you have to envy-- but when Magic Mike arrived in June, so did Tatum. He wasn't just the charismatic center of the film, but its reason to exist, putting up half the money for the budget alongside Steven Soderbergh and inspiring the seedy story with his own past exploits as a male stripper. The cherry on top of Tatum's killer summer? He didn't have to endure the release of G.I. Joe: Retaliation, which was bumped to next year with less than a month to go before its intended June release. Rumor has it Tatum was set to die in the original film, and the release shift was to allow him to shoot extra scenes. No matter how the movie turns out, Tatum's role in it is bound to be awkward, and now he's managed to put it off until next year, when his bona fides as our newest breakout star are complete. Poor Tim Riggins. Just as 2011 will be known as the year that Ryan Reynolds didn’t take off, 2012 has found its counterpart in Taylor Kitsch. With two ‘tentpoles’ as well as a drama with a once highly regarded writer-director on the schedule, the former Friday Night Lights’s star looked poised to make the jump to feature film stardom but, like his X-Men Origins: Wolverine co-star, his releases were not just disappointments but flops. John Carter became so synonymous with the box office bomb that when you look up the word flop, well, you get it. You can’t blame the kid for signing up for Andrew Stanton’s first live feature, which was based on the beloved Edgar Rice Burrough’s “Barsoom” series, but unfortunately many attribute some of the film’s failure to his uncharismatic performance. The rising star still had one blockbuster left on deck but sadly the John Carter stink followed him right onto the sea for the based on a board game, Battleship which also performed poorly with critics and audiences. The two that went. And Oliver Stone’s Savages? Well, the writer-director hasn’t made anything of worth in decades so color me unsurprised that it did absolutely nothing to help Kitsch career except add another punchline to his 2012 resume.